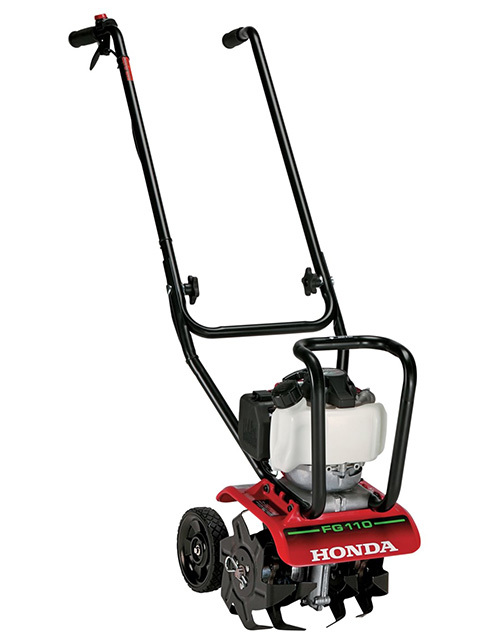 Honda Mini Cultivator - Quasius Equipment, Inc. 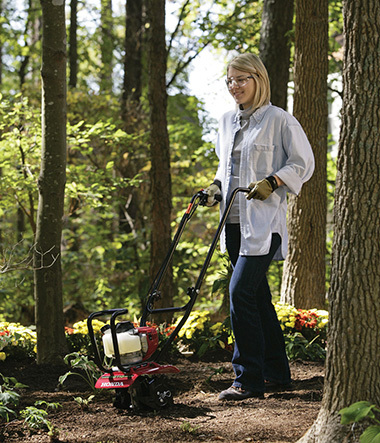 The Honda FG110 Mini Cultivator is an extremely light and compact tiller that weighs less than 27 pounds. Its narrow profile is perfect for working in tight areas like flower beds or between planted rows of a garden yet has plenty of power to break up new ground or cultivate soft soil for a seed bed. 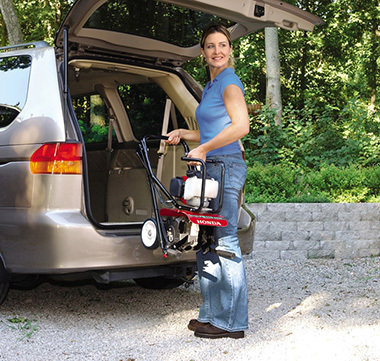 It utilizes a lightweight Honda commercial grade 4 stroke engine and has a fold down handle and removable transport wheels to make for effortless transport to yopur work area. Because it is a Honda 4 cycle engine it is easy to start, has plenty of power and requires no mixed fuel.